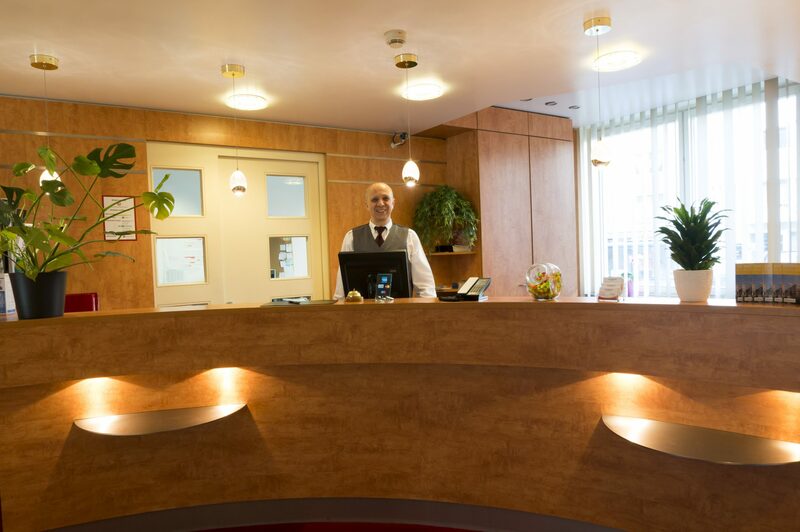 We are a small privately owned 4-star hotel with 25 cozy and quiet rooms in an optimal, central location between the old town of Dusseldorf, the exhibition center and the airport. With small cafes, a variety of restaurants and many interesting shopping facilities, in the immediate neighborhood, the hotel is still located in a quiet side street and borders on the back of a leafy courtyard. This combination of lively flair and restful tranquility guarantees a pleasant stay. Trams 701, 705 and 707 leave directly at Venloer Strasse (170 meters walk). The underground stations Nordstrasse and Victoriaplatz / Klever Strasse are also just a few meters from our hotel. A taxi rank is right in front of the house. And if you prefer to walk, brisk pace takes you to the Rhine waterfront in 10 minutes and the old town within 15 minutes. Come home – we look forward to welcoming you! Hotel Mingarden © 2019 All Rights Reserved.